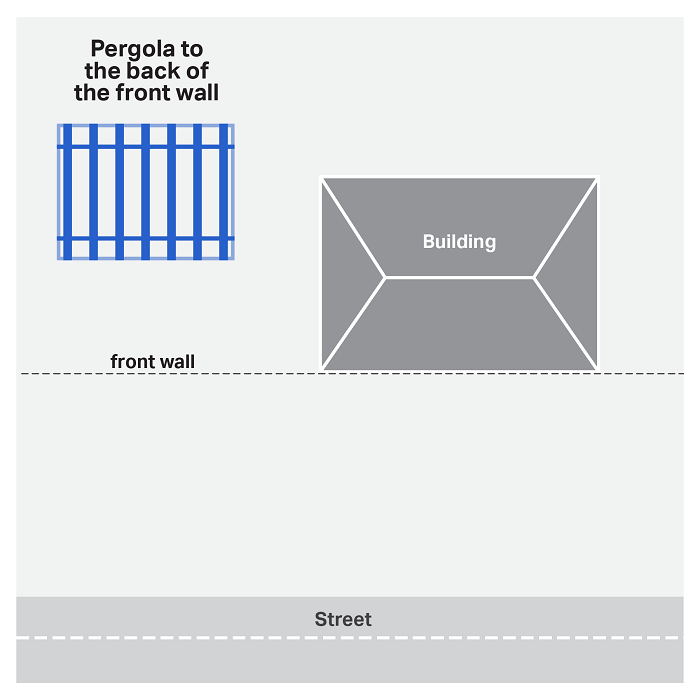 Refer to the site plan to see whether the pergola is located to the back of, in line with or in front of, the building’s front wall. Will the pergola be to the back of the building’s front wall? If yes, you do not need a Building Permit. As long as there are no planning restrictions, you can proceed to construct the pergola. You can now exit this guide.